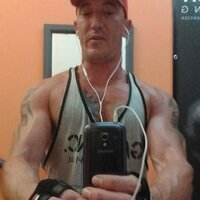 Pro Recover by CNP Professional at Bodybuilding.com! - Best Prices on Pro Recover! For a limited time, buy 1 Pro Recover, 1.28 Kilograms & get 1 Pro GDA, 90 Capsules FREE! Glucose, Whey Protein Concentrate (Milk), Hydrolysed Whey Protein Concentrate (Milk), Native Whey Protein Isolate (Milk), Flavouring, Vitamin C, Vitamin E, Emulsifier (Soya Lecithin). Allergy Advice: For Allergens, see ingredients in bold. Produced in a facility that handles milk, egg, soy and gluten. 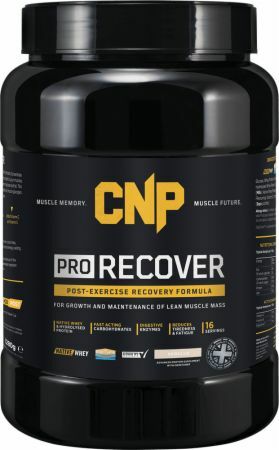 Directions For Pro Recover: Mix 2 level scoops (80g) with 400ml-500ml of cold water in your CNP Shaker Cup. We recommend one serving immediately after exercise. Warnings: Do not exceed the recommended daily dose. Food supplements should not be used as a substitute for a varied diet and a healthy lifestyle. Store out of the reach of young children. Store in a cool, dry place.